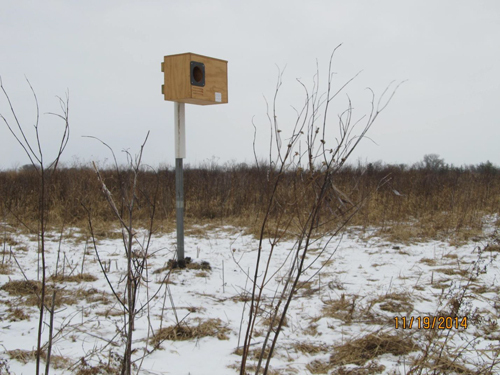 Barn Owl Nest Boxes at Chichaqua Bottoms Greenbelt, Polk Co.
Funding for natural history projects, be it research, habitat restoration, or land acquisition, is not always easy. 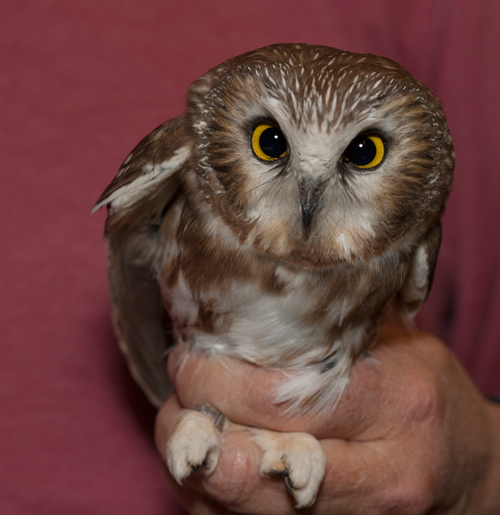 Although we are not a wealthy organization and money available each year is dependent on the number of IOU members, we are proud of some of our recent accomplishments of partnering with other funders to make a difference for Iowa's birds. The table below shows the projects funded. If you would like to help fund some of these interesting projects, please 1) make sure you have joined the IOU or renewed your membership and 2) donate additional money to the Projects Fund. Decline of the Prothonotary Warbler: Are Front-line Defenses Effective in Reducing Cowbird Parasitism? Prairie Creek Recreation Area – Wetland Development: For creating 35 acres of new wetland and pollinator prairie habitat. Research - Grassland birds, an invasive grass, and arthropods: exploring food web relationships using a long term avian dataset. Research - The Prothonotary Project: Field equipment and supplies for conducting research and creating nest boxes for Prothonotary Warblers on the Mississippi River near the Quad Cities. 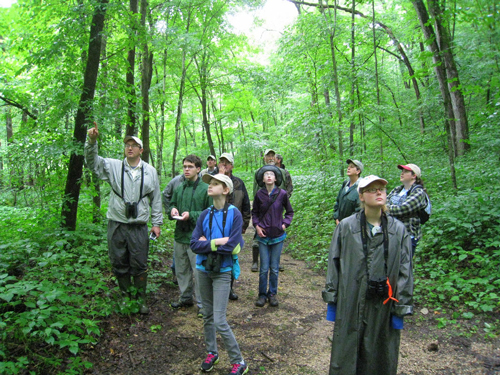 Building better birders field classes: Salary, mileage, and marketing classes to provide bird ID and survey courses for new birders/surveyors in Clinton County. Research - Eurasian Tree Sparrow Dispersion in the Cedar River Valley, Mileage for volunteers conducting Eurasian Tree Sparrow and House Sparrow surveys. Birding Explorer Pack: Explorer backpacks with binoculars, field guides, children’s books, sketchpads, and colored pencils included. To be checked out by family campers, families, youth groups, and school classrooms who visit the Fox Den Nature Center. Nature’s Window: Bringing the Outdoors In. Microphone system to record and broadcast audio from the wildlife and waterscape just outside the visitors center. 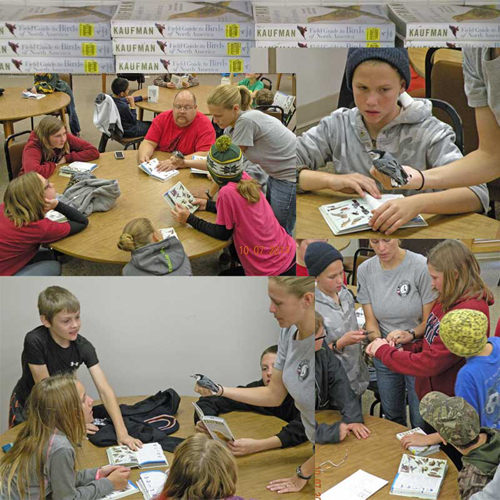 Bird study @ Scout Camp-Education Materials, Supplies for Building Feeders, etc. 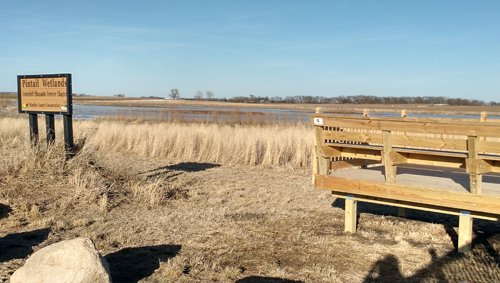 Publication of a revised map and guide to "Birding: The Iowa Prairie Lakes Region"
Improvements to facilities for education raptors @ Oakland Mills. 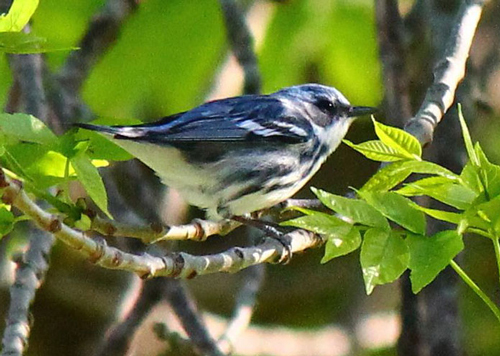 Grassland Bird Nesting study in Polk Co.
Cerulean Warbler monitoring project in NE Iowa. 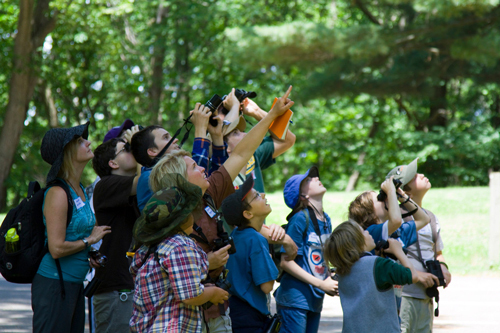 A new non-profit organization encouraging younger Iowans to consider birding and to enhance their appreciation of the outdoors. Raptor enclosure at Dorothy Pecaut Nature Center. Hitchcock Hawkwatch raptor banding projects. 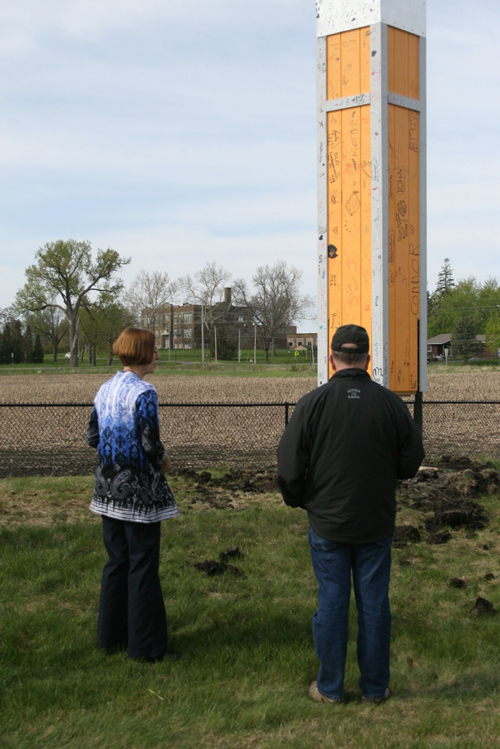 Construction of a Chimney Swift tower. Bird I.D. Teacher Pack at Lake Iowa Park. Keokuk Bald Eagle Days celebration. 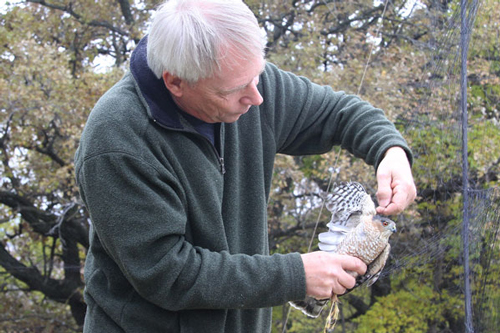 Study of grassland bird nest site selection in Ringgold County. Habitat improvement and evaluation at the Broken Kettle Grasslands in Plymouth Co.
Purchase of 93 acres of critical habitat on the east side of Big Spirit Lake in Dickinson Co.